Such sensors can detect subtle glucose changes in physiological buffer solutions, such as the tear fluid in eyes. New York: Diabetes patients may soon be able to monitor their blood sugar with contact lenses - spelling an end to painful jabs - thanks to scientists who have developed a transparent sensor. The sensor developed by the researchers from Oregon State University (OSU) in the US, uses a nanostructured transistor that can detect subtle glucose changes in physiological buffer solutions, such as the tear fluid in eyes. Researchers in the OSU said the nanostructured transistor is specifically an amorphous indium gallium oxide field effect transistor (IGZO FET). The sensors they fabricated using the IGZO FET will be able to transmit real-time glucose information to a wearable pump that delivers the hormones needed to regulate blood sugar: insulin and glucagon. The sensor and pump would, in effect, act as an artificial pancreas. Type 1 diabetes, formerly known as juvenile diabetes, can lead to serious health complications like retinopathy, blindness, neuropathy, kidney and cardiac disease, if the glucose level is not carefully controlled. "We have fully transparent sensors that are working," said Greg Herman, professor at OSU. "We can integrate an array of sensors into the lens and also test for other things: stress hormones, uric acid, pressure sensing for glaucoma, and things like that," he said. have the potential for low-cost fabrication. Those techniques include colloidal nanolithography and electrohydrodynamic printing, or e-jet, which is somewhat like an inkjet printer that creates much finer drop sizes and works with biological materials instead of ink. 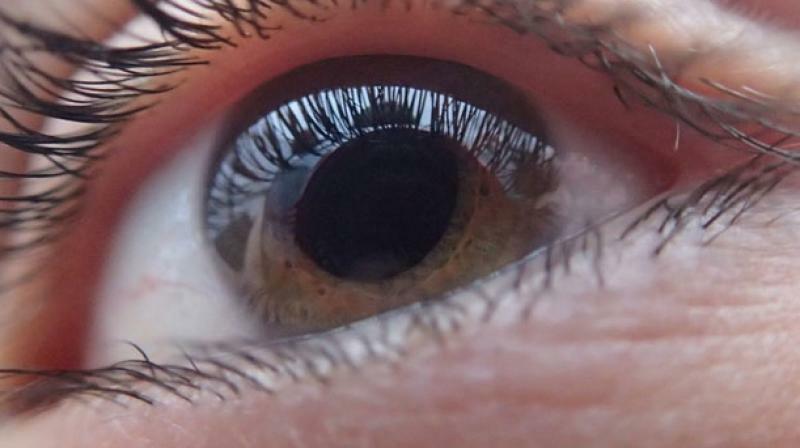 "Even with the contact lens, someone could still manage their diabetes with self-injection. The sensor could communicate with your phone to warn you if your glucose was high or low," he said. The transparent FET sensors, might ultimately be used for cancer detection, by sensing characteristic biomarkers of cancer risk, he said. Their high sensitivity could also measure things such as pulse rate, oxygen levels, and other aspects of health monitoring that require precise control. The study appears in the journal Nanoscale.